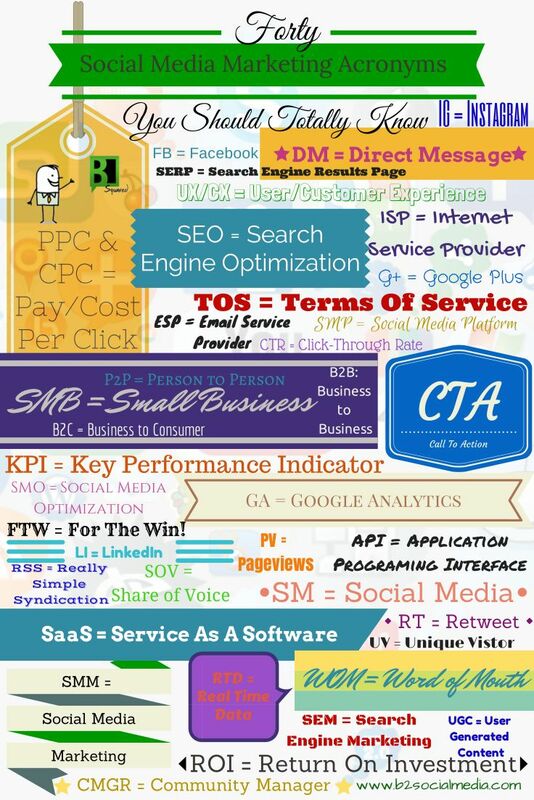 Social Media Acronym Cheat Sheet – Web Presence Esq. 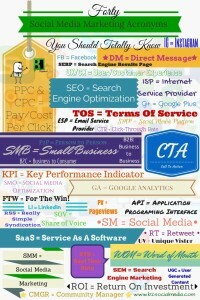 SEO, SEM, G+… The list of social media acronyms seems to be endless — and more pop up every day! The next time you meet with your marketing team or web designers, be prepared with this handy list of 40 social media acronyms every lawyer with an online presence needs to know. For guidance on any social media issue related to your law practice, contact the savvy attorneys turned web marketers at WebPresence, Esq. today. PreviousPrevious post:Law Firm Website Content ConsultationNextNext post:Blogging Lawyers: Are You Maximizing Your Google+/Authorship Presence?